Listen. Do you hear the sounds of a bird? Yes, it is indeed a nightingale… It sings a sweet, sad, song, telling us a tale of woe. My name is Iniashi, once apprenticed to Matsuo, famed maker of nightingale floors. Now Matsuo is more fabled as the man pinned to the juniper door of his home as a warning to all who would try to stop the hidden. And Iniashi is on the run, for those who pinned Matsuo to that door have sworn to eradicate from this world all things associated with Matsuo. This no doubt includes his apprentice. Do you sometimes wonder at the fairness of this world we inhabit? Why am I, Iniashi, just 14 years of age, condemned to run and hide? Why is it true that I will do this – perhaps – until the day I die? Why will I not be permitted to sleep without one eye open and both ears attuned to noises that are not expected? Why must I lose weight because I have become a nervous eater? Why is it that in the future I will not enjoy the lengthy luxury of a tea ceremony? Why have I had to change my name to Iniashi, who was in reality a boy I did not like, one who bullied me before Matsuo took me for his apprentice (oh, what an honour)? Can I now marry sweet Misami, whom I have loved since she was nine and who was betrothed to me? I doubt it. For that matter, other than being a little inclined to clout me around the ears when I had planed a piece of wood too thin or did not set the gap between what he called the singing parts exactly so, did Matsuo deserve to die, pinned to a beautifully crafted timber door, with perhaps 17 arrows though his chest and abdomen? I am sorry that I make poor jests about this. I can hear my mother, may the spirits bless her, telling me to take life more seriously. But I will say this. If I cannot make jests out of suffering (my suffering, particularly) then I may as well go and find those men who look for me – hold my head in a noose and say here I am, Iniashi, the one you seek. Hang me, shoot me full of arrows and leave me pinned to an old oak tree as the last vestige of Matsuo, the maker of the finest nightingale floors (and other wooden marvels). So it came upon me to write. So here we are, and now I had better tell you how I came to be here. And when I have done this I will leave this message for whoever shall find it and they will know I was here. And my story (even if I go by the name of Iniashi) will be heard. Then I will leave this little hut and travel somewhere else (always on the move is Iniashi) for that is the safe thing to do. I wish you luck, fellow traveller, more luck than poor old Iniashi has had. This is me, not more than three weeks ago, thinking…. For 30 years my master has crafted his nightingale floors. None finer; put just a little weight on them, heavier than a sigh but lighter than a footfall, and the bird will sing. And I am learning the art. No assassin in this time of assassins can master a Matsuo floor, they say. Joists and bearers, swings of wood and sound, they carry sweet trills and high fluting notes and all of it sounds a warning. Beware, a stranger treads upon your floor. I am learning his tricks, slowly, it is true (I wonder whether those clouts about the ears are good for learning). An assassin, one of the hidden, we hear, has been intercepted on the floor of the castle at Haijō, near Kyoto. He was very good, he had made it past the guards, past the hall of mirrors designed to fool the intruder and past the traps and freefalls… but he did not make it past the floor. And now his headless body hangs in a basket from the castle walls and his head rides on a spike near the bridge. The daimyo who lives in Haijō Castle sends a golden apple to my master; eat well, the note with it says. I heard, faintly, the sound of horses but no horses appeared in the yard. I wondered at samurai being out at this hour but dismissed it from my mind and let it drift back to more pleasant fantasies. Men suddenly appeared at our gate, the house was surrounded and before I could say a word or do anything (what would I have done, who know nothing of bushido?) Matsuo is dragged out, his throat cut, his body affixed to the front door and used for archery practice. His wife is butchered also and I thank God his son died a long time ago when he fell through thin ice. The men searched the house. I could hear their voices then but not distinguish their words. I knew they were seeking me… I did not know why, but in a world where fate can turn on a sparrow’s wing I knew that I must flee. I knew the mountains and ways to avoid the seki. When they had gone I waited a good long time. I strained my ears. Perhaps they had left a man to listen out for me. A cockerel crowed; dawn was near. I laughed nervously. I had to go; light is the enemy of the fugitive. I was not important enough to leave anyone for; they would find me later and cut my throat. The master’s sins, whatever they were, would be visited on his apprentice. I had to avoid all people for then they would know where I had been and be able to follow me. I wondered why Matsuo had had to die and knew it was for some great misdeed. And I knew it then… A floor had failed. One of the hidden – the Ninja – had gotten through, perhaps to the daimyo of the golden apple. Yes, the apple had been picked and turned so sour. This was my guess. Somewhere a great lord had died, Matsuo’s floor had failed and the maker of the floor and all who knew him, must die. Matsuo’s home lay on the outskirts of the Juku of Majo… People would very soon be stirring, merchants arising to ready their stores and stalls, tanners trooping out away from the town to their secret tanning places, hunters arising and fishermen readying their boats. I gathered clothes, my bow and arrows, a line for fishing and snares. Juku and villages were not for me and so I turned away across country and made for the hills. I knew how to hunt and find peasant foods… In the mountains I would think what to do. And so, in the days following this, I have done. I swing wildly from despair to a sort of glee as the days go on. Why glee? I hear you ask. What young man does not want at heart to be free of all social obligations and ties? Mine is a world of fixed planets and stars. The fates have decreed that I have been set loose. I miss the thought of kissing Misami’s lips but I do not miss the obligation I had to marry her, I miss Matsuo but not his clouts around my head, I miss my parents but not their downcast eyes when I have made some social gaff. If I were samurai I would now be ronin, and that, the stories sometimes tell us, is not so bad. Perhaps the great Lord’s men will find me and I will go to join my ancestors (who will probably roll their eyes at me), and perhaps – let me be honest - they are not even searching for one who really has no great value. Matsuo is dead; the wrong of a floor that did not sing as it should is righted. And so I leave this. For whoever shall find it. Let them know my name is Miiagi, son of Yori and Kyoshu, once betrothed to Misami, and now fugitive in my own land. who shall never again be a maker of Uguisu-bari. Seki were checkpoints on the roads. In this way the shogun could monitor the movements of people through the country. Juku were lodging towns on roads. The story does not specify a year or time frame, but we can say it is in the Tokugawa Shogunate, after 1603 — do you think it’s important to know exactly when this story is set? Why/ why not? ‘a world of fixed planets and stars’ (paragraph 18) suggests to me the story narrator is not of the ruling Samurai class – he is of the artisan class. Rank and status is fixed in this society. Research reveals that class and status (power) were fixed in the Japanese feudal society of the Shogunate, just as it was in feudal Europe. In this society everyone had their place. To which class does Iniashi (Miiagi) belong? 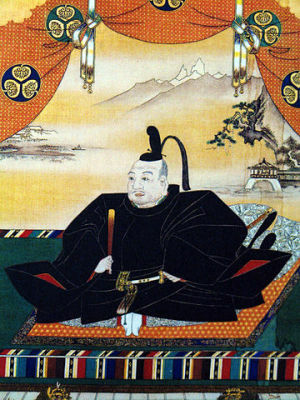 The feudal system was all about hierarchy, with the emperor on top (as the ritual ruler) but real power held by the shogun, with all others below him. What aspects of the Shogunate or feudal system does this story reveal? True or false: people in Japan sometimes hunted for food. Explain how you know. True or false: the shogun has little control over everyday life. Explain how you know. True or false: the political situation was not perfectly stable in Japan. Explain how you know. How did the writer research this story and what prior knowledge did he bring to the writing? The writer knew of the power of the samurai class and the shogun and also had a little knowledge of bushido. He was also familiar with the concept of nightingale floors, courtesy of Lian Hearn’s novels. The writer did most of his research on line; would ‘Shogunate Japan and assassination’ be a good search string to begin with? Why or why not? The writer investigated the following aspects of Japanese feudal life: nightingale floors, ranks in Shogunate Japan, the Tokugawa Shogunate, how people hunted in feudal Japan, ninja in Shogunate Japan, and everyday life in feudal Japan. Choose one of these aspects of feudal life and explain how the story has made use of information the writer discovered. All the characters herein and place names are complete works of fiction and not based on any historic characters or real places. The idea of the ‘hidden’ is stolen unashamedly from Hearn’s excellent novels (which never name Japan) but the writer uses the name here as a code word for ninja; in Hearn’s novel the hidden were a persecuted religious sect. Bushido, seki and juku are all real concepts from Shogunate Japan. The story suggests that the narrator is fleeing the threat of murder; his master Matsuo has failed with one of his nightingale floors. Is this threat real – even the narrator confesses he does not know? He is just guessing… it may be true. The narrator is in fact a little unreliable because he occasionally lapses into flippancy and refuses to take the threat to his life seriously.